➤ Touch7 specialises in creating design tools for Adobe CC, for designing in, and separating artworks for printing. ➤ Touch7 DOES NOT separate Pantone® colours from the Pantone® Extended Gamut Guide. ➤Touch7 is NOT a profiling or colour management solution provider – There are already excellent systems out there to do press characterisation. ➤ It is assumed that a printer would already have their press fingerprinted to create a multichannel profile. If the customer does not use spot colour printing to date, they must have their press characterised using existing technologies, which would take in to account the spot inks being utilised on the press. This profile would also be loaded up in to the Touch7 Soft-Proofing tool – This will then show an image/design with the correct press profile, based on the customers ink set. 1. Download our .jsx uninstallers from here – follow the simple PDF guidelines supplied with the uninstallers to remove any older versions of the plugins. You need to do this for each plugin. That should resolve the issue, but if not, please let us know. Due to a security certificate issue, we have had to update the Touch7 Photo plugins (this affects both Touch7 Photo ECG™ and Touch7 Photo NEON™) You may find that your installed plugins will stop working and pop up an error message. Please go to the download area and download our latest version(s). All you need to do is install the plugins – please note that our plugins now install using a ZXP installer app (new read me instructions are provided with the new updates). The update should overwrite the existing installation and you should not need to remove the currently installed version. Touch7 is licensed as a single seat application. If you attempt to install the Touch7 plug-in on another computer, using the same license code and/or email address, you will get the message that you have reached the maximum activations. Please note that license codes can have multiple installs, if your license purchased is a multi-user license code. How can I uninstall Touch7 from Photoshop? Why have the Touch7 Photo buttons stopped working, when I have a valid license? Touch7 requires Adobe CC or higher. Touch7 is a cloud based subscription service, and as such requires the user to have an Adobe Creative Cloud account. If you do not have a creative cloud license, Touch7 will not work. Will Touch7 work with Adobe CS6 or earlier? NO. Touch7 requires an Adobe Creative Cloud account. It will not work in earlier versions. Why do I need Touch7 Photo NEON, when I could just duplicate the magenta and/or yellow channels from an image, and print those with the Neon Pink or Neon yellow! 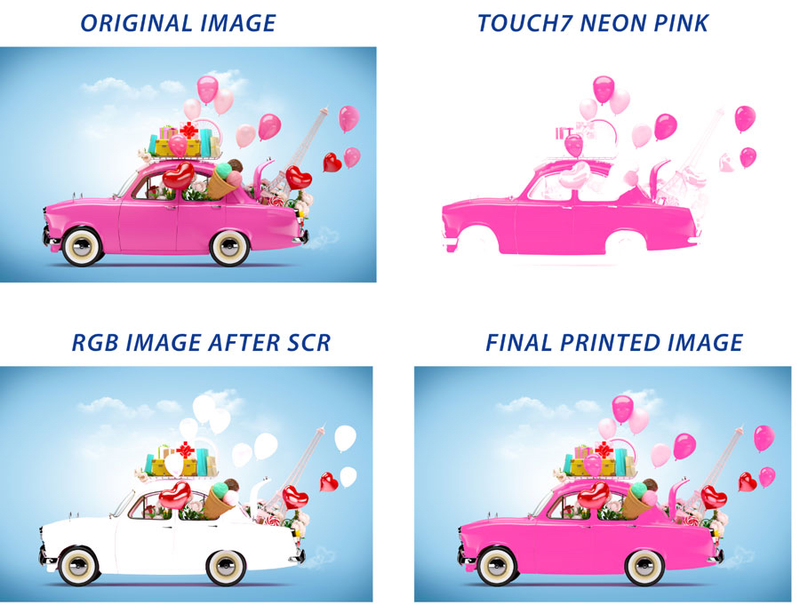 A question was posed to our technical team "Why do I need Touch7 Photo NEON, when I could just duplicate the magenta and/or yellow channels from an image, and print those with the Neon Pink or Neon yellow?" Great question – Let us explain bother visually and technically, how Touch7 works. First, you need to consider where "yellow" and "magenta" are used within a typical image – Yellow is a colorant that is found in greens, green/blue hues, reds/oranges, grey tonal areas, shadows etc, in fact, this is true of most colours used in printing, as each primary is used to create everything from skin tones to grey balance – so, if you use an approach of just duplicating the yellow or magenta channel, then those neon toners may contaminate other colour groups within an image. In the visual below, we have shown the magenta and yellow channels within an image – as you can see, yellow and magenta are in almost every region of the image – whereas the Touch7 Neon plugin isolates and extracts out only the pink or yellow pixels within that image – this is done using a process of subtracting each pixels hue value from the image, to leave only the yellow and pink pixels – the reason we recommend to adjust the touch7 separations after they are created, is because colours like "pink" are a shade of Magenta, so it can only extract out the hue value for pink, which is not solid! And, when you have a colour that is not perfectly pink, for example, it might have a slight blue tint to it, or even a colour that moves towards the purple end of the pink colour spectrum, then you have to remove the blue pixels from that colour to leave only the "true" pink pixels within the image – The Touch7 plugins use a mathematic algorithm to extract out that data, and then you have the freedom to boost up those colours to make them more solid, if you wish to! Also, Touch7 has SCR buttons – Source Colour Removal – The SCR buttons subtract the neon separations from your original image (a bit like UCR, but for neons!) – if you print the pink or yellow neon inks/toners on top of an image, that's overprinting and you increase the saturation, but then you might start to go above the total ink limit for the press – if you print pink over red colours, you can also contaminate that colour – so, as an example, if you have a customers image, of a lady in a red dress holding some pink flowers, Touch7 will only affect the pink flowers, whereas using the magenta channel would also put pink into the red dress, which would change the colour of that dress! Below an example of the SCR button in use. As you can see, the pink colours have been removed from the original RGB, so that you only print with Neon pink in those areas, instead of adding neon pink on top of the magenta as an overprint!!! Grey balance is also critical for printing – using either the yellow or magenta channels based on duplicating either the magenta or yellow, could contaminate the background in the image below, and make this image look pretty terrible. The only way to get around that is to manually go in and mask out all the unwanted areas of the image, which is both time consuming and not entirely accurate, whereas Touch7 does everything with a single click of the button, in seconds. The image below shows what happens to the grey balance (and all other colours) if you just duplicating the Yellow or Magenta channels, compared to Touch7 – As you can see, Touch7 does not contaminate any other colour groups, whereas duplicating the channels has drastically changed the image entirely – meaning that you then would need to go in and do image masking! As a final example, in this image below we are using the magenta channel to compare against the Touch7 pink separation – As you can see, magenta is in every colour group in this image, it is even in the greens in the ladies transparent plastic hat – using the magenta channel for adding pink to this image as duplicate channel would also contaminate the skin tones! As such, you would have to mask the image out – Also, if you look at the shadows under the collar of the shirt in the bottom left – in the magenta channel, that is solid magenta, whereas in the Touch7 image, that is calculated based on subtracting all other pixels from the image, so that the image prints photorealistic and natural, with zero masking required! Not only does this create a more aesthetically pleasing and photorealistic image, but it also ensures that you are not wasting neon inks/toners where they are not needed within the image – and seeing as you have to pay for the 5th ink/toner on the press, that is a cost saving to the user! I guess you could say that Touch7 in this instance, acts as an ink reduction tool! Do I need to use special ICC profiles to convert my images using Touch7? NO. Touch7 does not create ECG separations through ICC profiles. Instead, Touch7 intelligently calculates the ECG ink separations from the source pixels. The final converted image using the Touch7 extended colour gamut plugin, retains your original file format, with the addition of your chosen ECG spot colours. Why do I need Touch7 Photo? Can’t I just use a n-color ICC profile in the RIP? A question was posed to our technical team "Why do I need Touch7? Can’t I just use a n-color ICC profile in the RIP (as an output profile) and keep my images in the original wide gamut RGB (with profile) all the way to the RIPing process?" Doing Extended Colour Gamut working in the RIP, you have no creative control over the image. Question to consider – If you have a ripped job, let's say it's a page out of a clothing catalogue – can a profile choose to only apply ECG to one image on that layout, ignoring all the other images? Or does a profile apply it's effects to ripped data (1bit tiffs) used to print/proof? A profile does not allow you the creative freedom to isolate individual colour groups and/or selective areas. It's all or nothing with a profile. 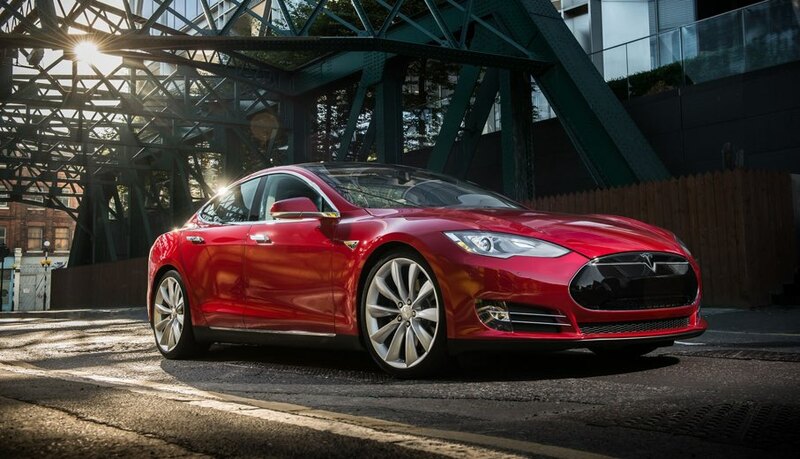 How would a profile apply enhancements to just one area of one particular image? For example. You have a CMYK image of a lady in a red dress, holding a bunch of purple flowers, standing on pale green grass, against a dark blue sky...All of which could be enhanced for ECG...But I only want to boost the ladies red dress, and I don't want it to effect my skin tones. How would a profile handle that? Also, having and RGB workflow is great...If you have an RGB image! And even if you do have an RGB image, who's to say it's not already been converted to CMYK at some stage, clipping the colour data, and then saved back to RGB? Or that it’s actually a good quality image with good tonal range and saturation? What’s more, given that the printing industry has just spent the last 20+ years telling designers NOT to work in RGB as it would not match the CMYK proofs they would get in return...We have a long way to go to get them all using RGB again! Touch7 gives creative freedom to the designers who do the work. Think about this – if you design a file in CMYK and run a proof out and send it to your client to approve (the client signs off your proof for colour and content) – you then send that file to a printer, who in turn converts it to an extended gamut – The printer charges you/the designer for the proofing (more cost) and it goes back to the client to sign off…but it will no longer match the original proof the designer sent the client to approve in the first place! Not to mention if the designer makes changes to the artwork, or asks the printer for colour correction to the ECG enhanced areas.... Back and forth with proofing, whilst costs stack up! So, why do the work at the end of the work flow? Why not do it upfront, where the creativeness happens and save both TIME and MONEY? Everyone is thinking about profiles, nobody is thinking about the designer or creativity! And those that do think of profiles, are typically the high end printer that can afford complex and expensive separation systems. And what about getting creative with ECG – you only need to look at the background of the “Camera Shy” Calendar below. Notice the pattern in the background that has been knocked out of the ECG gradient? – how would a profile do that? You can't! You can only do creative things, at the creative stage! Why are Touch7 ECG spot colours different to other ECG inks? Touch7 does not use profiles to extract out ECG data and therefore does not need to know what inks you use on press or what hue value they are. Touch7 extracts ECG data from the source image based on a mathematical formula. It should also be noted that the spot plates that Touch7 creates are just greyscale separations - when you assign a colour to those separations/channels within Photoshop, that greyscale plate takes on the colour appearance of that spot colour. So, what you see on the screen is literally just a screen visual - when you print those separations on press, you would map the spot colours to your own tried and tested ECG inks or to the ECG inks on your digital device. You will find that the spot colours in a Touch7 image are different to the spot colours others companies may use, either on digital or offset. For example, Pantone® has specific colours that they want people to use for their XG guide – Pantone® needs an ECG ink set that can match the broadest range of their own spot/brand colours from their colour books. However, with Touch7 we are not matching any Pantone® spot colours, so we can use colours that will provide the best printed image! For example, you could convert an image using Touch7 to generate an ECG image, and you could print that on a digital device using only CMYK (the spot colours would be mapped/processed back to CMYK using the closest match to the LAB values of the Touch7 spot colours). If you set your colour values to the green used by Pantone®, when you print that image on a digital device using only CMYK, it will take the values of that colour specified in Photoshop - in this instance, a blue looking green. If you look at an RGB spectrum, green is green, not blue/green! If you look at the colour splits below, Touch7 ECG colours are on top, Pantone® (also FIRST for flexo) are on the bottom. Pantone® uses a very deep orange, which we personally find makes images go towards the red end of the spectrum – if you put that amount of orange under an already orange colour, it shifts more towards a red/orange end of the spectrum. Using the orange values we have specified, when printed in CMYK only, provides a much cleaner orange/red gamut of colours. The same for the greens etc. • Touch7 images use spot colours that IF PRINTED IN CMYK would give a better colour as those spot colours are mapped to the closest CMYK percentages. • If Touch7 images are printing on a device with ECG inks, then the spot colours within Touch7 should be mapped to the ECG inks on press. Do I have to use RGB images or can Touch7 work with CMYK? Why do my images not look any different when printing directly from Adobe Photoshop? If you are trying to print a Touch7 image in RGB plus spot colors directly to your device from within Photoshop, it will not be possible as they are two entirely different color spaces, RGB being additive and spot colors being subtractive. Photoshop cannot directly process/render the two opposing color spaces within one image. You will need to import your image in to a page layout program such as Adobe Illustrator or InDesign, and output from there. Does Touch7 Photo work with PDF files? YES. You can use the Touch7 Photo plug-in to convert images that are embedded within a PDF file. Click here to go to our tutorial video page, for a step-by-step demonstration on how to process images in PDFs. Can Touch7 be used with Digital, Inkjet or Toner printing devices? Touch7 Neon will work with toner systems that have Neon Fluorescent inks or toners. 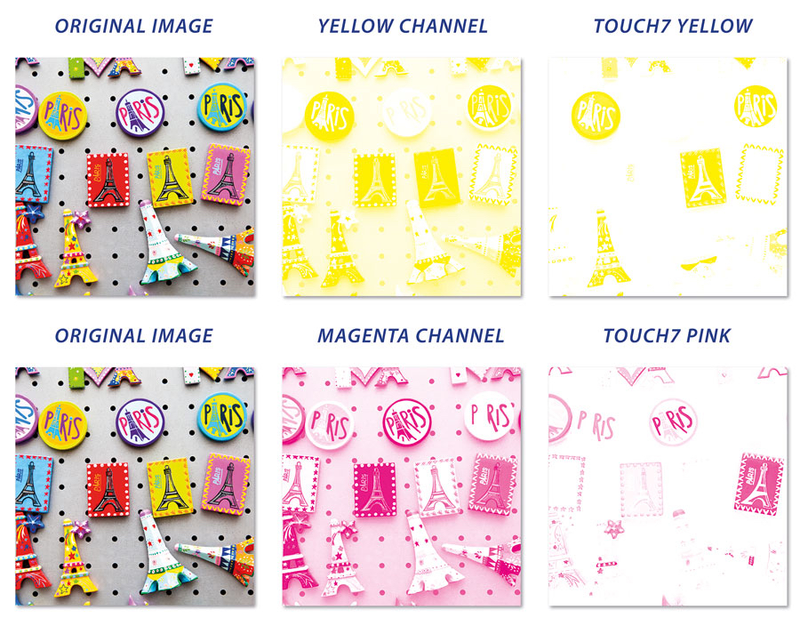 For example, Ricoh Pro C7100 series press uses Neon Yellow and Neon Pink toners. And, for traditional ECG printing (Orange green violet etc) – provided that you are using a workflow that is capable of simulating spot colours, Touch7 can be used to enhance your images, without having to use ECG inks! With toner based devices, a master ECG image is generated, which would normally be printed using CMYK plus up to 3 spot colours. However, most toner printing devices do not have spot toners, so images are processed back in to CMYK at the RIP, with the ECG spot colours being matched as close as possible to LAB values of the Touch7 separations. You can now achieve higher saturated images, taking your toner device to a new level of colour! Can Touch7 be used with CMYK printing devices? Yes. Digital, inkjet and toner devices use inks/toners with a vastly superior gamut and transparency to traditional process inks used on analogue devices, so it is possible to increase the gamut of your images WITHOUT actually having to print with ECG inks! ECG spot colours can be effectively matched using sophisticated algorithms in the raster image processor (RIP). An example of such technology would be EFI’s Fiery Spot-On™, Heidelberg’s PDFToolbox or HP’s SmartStream Production Pro Spot Color Refinement tool, all of which can emulate spot colours within a file and processes them to their closest match out of CMYK. Whilst a remapping of the spot colours to CMYK on these devices will not be a 100% match to spot colour printing, it is impressive how much improvement such a workflow can make to your imagery! What are the recommended "Extended Colour Gamut" inks for analogue printing? ECG inks vary across printing devices, with some machine manufacturers developing their own proprietary ECG ink sets. As such, you should use the ink for your particular device. However, as a guideline, the following inks can be used for analogue devices. Note: The ink you use on press does not effect the physical separation within Photoshop – Our default ECG colour names can easily be mapped to the ink used on the press/printer, via the RIP. PANTONE® is the property of Pantone LLC. All other trademarks or registered trademarks are the property of their respective owners. © Pantone LLC, 2017. All rights reserved. What are the LAB values for the Touch7 ECG inks? IMPORTANT: The LAB values for Touch7 have been chosen to provide the best printed image when using a CMYK only workflow on a digital, inkjet or toner devices. It is these LAB values that you would need to assign at the RIP for each Touch7 ECG colour. What are the recommended "Neon Fluorescent" inks for analogue printing? Neon inks vary across printing devices, with some machine manufacturers developing their own proprietary Neon ink sets. As such, you should use the ink for your particular device. However, as a guideline, the following inks can be used for analogue devices. Note: The ink you use on press does not effect the physical separation within Photoshop – Our default Neon colour names can easily be mapped to the ink used on the press/printer, via the RIP. What are the LAB values for the Touch7 NEON inks? Will Touch7 Photo, work with the new PANTONE® Extended Gamut Guide? YES. Touch7 Photo can work seamlessly with the new PANTONE® Extended Gamut Guide, just as it will work seamlessly with other spot colour separation technologies. Simply process your images as usual, and if required, edit the Touch7 ECG spot colour names to match the PANTONE® Extended Gamut Guide naming nomenclature, or map the Touch7 ECG spot colour names at the RIP, to the destination ink set used on press.